Get the power increase you want from a custom tune this Hypertech Max Energy Sport Tuner for your G37/370Z is for you. Finally get the power of a custom tune for your G37/370Z from a portable plug and play flash tuner by Hypertech. 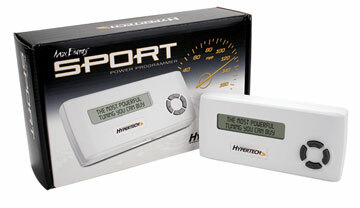 This Hypertech Max Energy Sport Tuner is specifically developed for import vehicles and designed to extract every bit of energy from those high-revving, low-displacement engines. This Hypertech tuner as programmed to be one of the most aggressive tunes on the market for your G37/370Z. This Tuner delivers maximum MPGs at part throttle and insane power gains when running wide-open. By eliminating the 0-60 restriction and optimizing every drop of fuel, this tuner delivers 6+ Horsepower and 10+ ft-lbs Torque! If you are running performance parts such as an exhaust and/or intake, this Sport tuner will produce even more power! It only takes minutes to install you will feel instant power gains and a new sense of the word drivability when it comes to your G37/370Z. 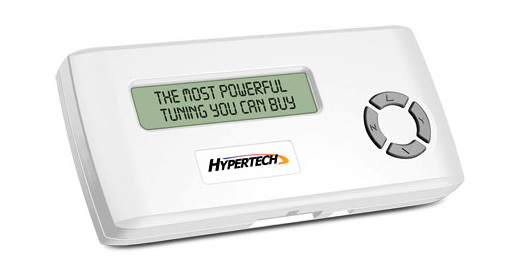 Plus, Hypertech backs your Max Energy Sport Tuner with a Lifetime Warranty. Get the power increase you want from a custom tune in a more affordable and easy solution with this Hypertech Max Energy Sport Tuner for your G37/370Z. NOTE: This Hypertech G37/370Z Tuner now has an intake compatibility for the Stillen and Takeda Cold Air Intakes. This will allow you to produce even more power! Software Compatibility: Hypertech Max Energy Programmer is compatible with Windows Vista, Windows 7 and Windows XP; however, it is NOT compatible with Macs.